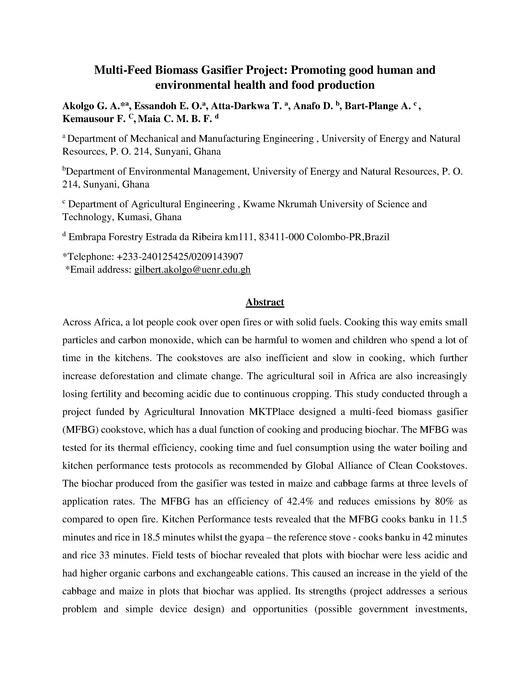 English: Multi-Feed Biomass Gasifier Project: Promoting good human and environmental health and food production (Poster) Akolgo G. A. *, Essandoh E. O., Atta-Darkwa T., Anafo D. , Bart-Plange A. , Kemausour F. , Maia C.M. 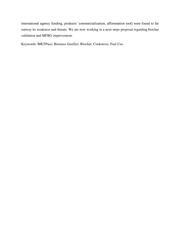 B. F.
This page was last modified on 29 January 2018, at 14:42.